Wireless desktop set includes a keyboard, mouse and 2.4GHz wireless technology so you can position both in their optimal position with up to 30' range. Soft rubber mouse grip and cushioned keyboard wrist rest provide all-day comfort. Instant plug-and-play design with a simple USB connection requires no drivers or software. 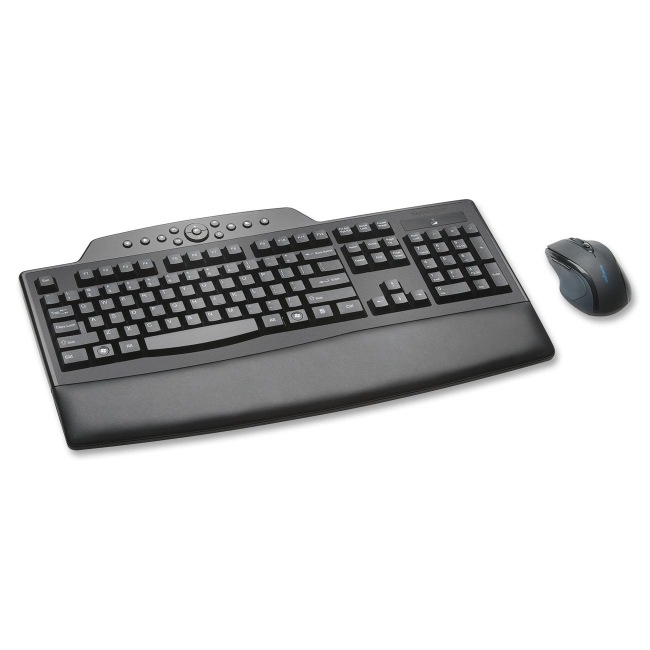 The comfortable, full-size keyboard features dedicated Internet and multimedia keys to boost productivity and optimal ergonomic adjustments with multiple positive and negative tilting positions. The midsize, right-handed mouse features forward and back buttons and selectable high-definition optical sensor (1000/1750 dpi) for responsive control.